In the peak litchi season, every year in Muzaffarpur, Bihar, a crisis unfolds with unflinching regularity. 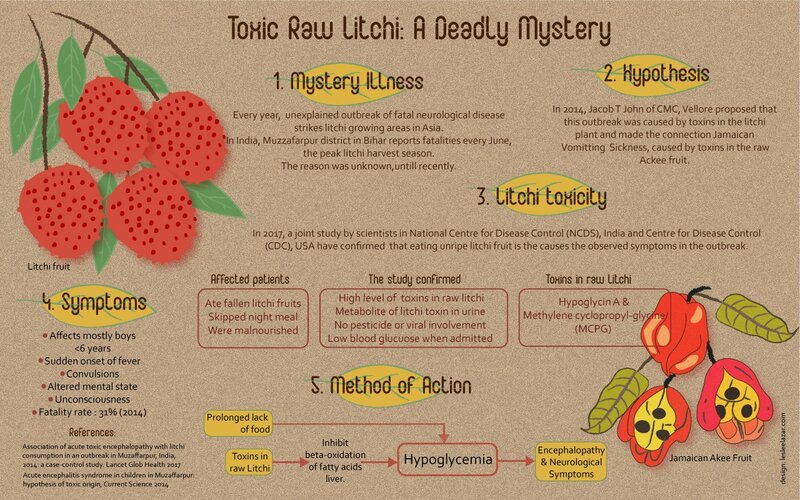 Hundreds of kids, after having gorged on litchis, die of encephalopathy. Several scientific teams have been working to find the reason behind this debacle. Finally, we have an answer.